With the "great crew change" accelerated by the oil and gas downturn, knowledge transfer is more important than ever. 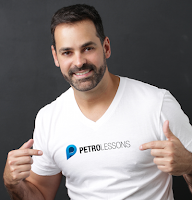 Welcome to an interview with Braulio Perdigao, PMP, CEO/Founder of Petrolessons.com - the first knowledge marketplace dedicated to the oil and gas industry. What is your background? What are your areas of experience? I'm Brazilian and I've been in Houston for 15+ years. I have experiences in multiple industries: over 7 years of experience in oil and gas, 6 of those at Petrobras, after that I also did communications and change management consulting for Exxon, Hess and BP. I stay pretty busy, I'm the CEO/Founder of Petrolessons.com. I'm also the chairman of Oil and Gas Entrepreneurs organization, we are over 460 members working on innovations for the oil and gas. In addition, I'm a member of the Change Management Association Professionals, Association for Talent Development and I'm a Project Management Professional (PMP). I came to the US in 2000 to go to school and ended up staying, I graduated from the University of Houston Downtown in Interdisciplinary Studies - that shows my multi disciplinary interest and experiences - Some will say I am ADD, I think I am just curious and ambitious and could never be in a box. I wanted to experience a little bit of everything. In my coursework I included everything from language development, business, psychology, education, legal, marketing, design - yes it took me 7 years to graduate! I've worked in education, travel industry, logistics, web marketing, creative project management, video/photo production and finally several roles in oil and gas (communications, risk, change management mainly). To be honest, I never really thought I would work in oil and gas, my relationship with the industry was basically filling up my car and watching accidents and explosions in the news. But I was very lucky to be recruited in 2008 to be part of a PMO working for a major project in the Gulf of Mexico. In fact, when I accepted that offer, I was afraid that oil and gas would not be creative enough for me, I was completely wrong! In that role, I was in charge of project communications, risk management and change management mainly (although I wore many hats). I was running countless workshops, project annual events, and one of the coolest projects was to produce a film documentary of our project which was a breakthrough project in the gulf (first FPSO in US gulf and at the time the deepest E&P project in GoM) we were exploring in unknown territory the Lower tertiary, so there were always a lot of that suspense of a new discovery. Well, doing communications for the project allowed me to get out of the office and really see and gain a tremendous appreciation for the industry. I was talking to leadership, engineers, going to vendors, going offshore, hanging from helicopters. It was by far the best experience of my life. There are SOOOO many smart people and such a dynamic, complex, creative industry, and so many variables and so much risk it really blew my mind. I dare to say it is the most complex and dynamic industry. Most projects in O&G starts in the billions, take hundreds of companies to come together from around the world, it takes years and years to breakeven IF they are lucky because there are so many variables. So as a result and as I developed communications materials I was seeing how productivity and excitement in the office increased because now people could see what they were working on. I also thought how unjust the media and public perception was around oil and gas. So the initial idea was to create a portal like TED talks to oil and gas. I'm addicted to TED Talks by the way. I was still working for Petrobras at the time and developing the idea, doing research, interviewing people and working on Petrolessons in my off time. After a while I noticed the common thread around training, skills gap which in oil and gas is called The Big Crew Change. There is so much project intelligence that is lost, over 4MM professionals leaving the industry in the next 5 years and over 1.8MM coming in and there is a huge gap here. The knowledge gap in O&G is due to a hiring freeze between the 80's and early 2000's, and it represents a MAJOR challenge for the industry. Other factors: O&G projects count and depend on these expert engineers to are like birds migrating from one project to the next so a lot of project intelligence is lost and it costs a LOT of money. And now that the industry is in crisis, we just lost over 100K people that were laid off or got early retirement packages. So that knowledge gap is becoming wider and wider! It's estimated that it impacts 30% of projects worldwide, so that represents over 3 trillion in costs! 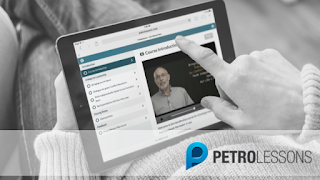 Well, putting my background together, with advancements in technology, how easy it's become to produce video, the whole movement of MOOCs etc Petrolessons became a knowledge marketplace, so it's now an innovative platform with a B2C and a B2B offering. 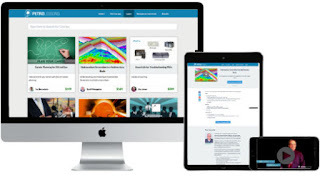 The B2C is a global platform available on www.petrolessons.com that allows any professionals with experience in oil and gas, associations, training centers and universities to share their knowledge, build a reputation and make $. We aggregate and curate oil and gas knowledge from around the world. The goal is to be the number one platform for oil and gas knowledge online. At least 90% of each course is video based, they can include quiz and other interactive elements. They are mobile friendly so people can access courses on the go with a 12 month access window. We are working on a native app where people will be able to access courses even without wifi. Content owners make 70% of net revenue from sales of their courses. Even if they have other platforms they are publishing we can be an added channel and revenue stream as long as it's relevant to O&G industry. As for topics of courses think engineering, geology, subsea, facilities, wells, refinery, safety courses, but also think project management, business skills, cyber security,trading, leadership, HR, Supply chain, IT, finance, logistics, language, culture...all of these are very relevant. Because it takes a lot of parts to support the industry. Since launching in Dec 2014, I've been focusing on building a library of courses that are relevant for O&G. I'm working with over 60 instructors from around the world, and several colleges and associations. And we have over 40 courses in post production now.There are over 150 people signed up representing all major oil and gas companies and service companies and this is very organic, I haven't really done much marketing yet since my focus now has been to build the library of courses. What do you see as potential for companies? 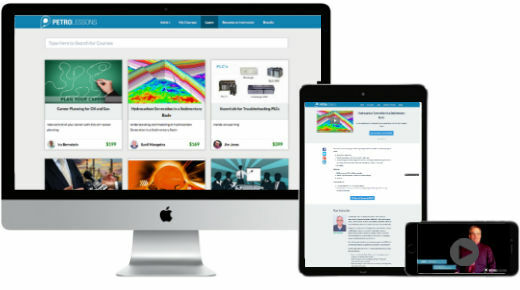 The B2B offering is a private label version of the platform offered as a SaaS model to oil and gas operators and service companies where they can now capture internal knowledge create video courses and disperse to their workforce, they can also drag and distribute courses from the global platform. We can offer just the platform or offer a turnkey solution with our partners to identify gaps, build strategy and create courses. If companies are spending at least 1 million dollars in training we can generally save them 50% of training costs and do it 60% faster. What are some opportunities for people who would like to share their experience? Shout out to all Subject Matter Experts: many of you have been laid off and this is a great opportunity for you! Also associations and colleges, share your content beyond your members! There are so much knowledge that is silo'd and doesn't get enough exposure. Further, there are many people around the world who do not have knowledge readily available. Let's bridge the knowledge gap! By going to petrolessons.com/teach you can start the process of publishing your course on Petrolessons and we help you in every step of the way. We help people DIY their courses or we are happy to partner and refer media houses to help create video content. There are tons of bells and whistles to this platform that makes is super unique and relevant to the oil and gas industry. I'm looking for content owners, experienced professionals to publish their own courses on Petrolessons and pilot companies for our B2B offering. Instructional designers, consulting firms working on this space as well as media houses should get in touch and see how we can work together. For example, we are helping promote some of AAPG's e-symposia to help people learn about some of the resources that AAPG (American Association of Petroleum Geologists) has available. Do you see potential with STEM education? I'm in talks with organizations that are working on STEM education so we can partner to share Oil and Gas knowledge and help folks appreciate the industry that is the source of everything we know today. The mission and ambition is big! I think we can change the world by changing how training is done. Oil and Gas gives origin to most of the things that touches our lives today. From technology to food, living, transportation etc. Ultimately by helping companies produce oil more efficiently, less costly will help them lower costs of the supply chain, make operations safer, and everything down the supply chain will be optimized.